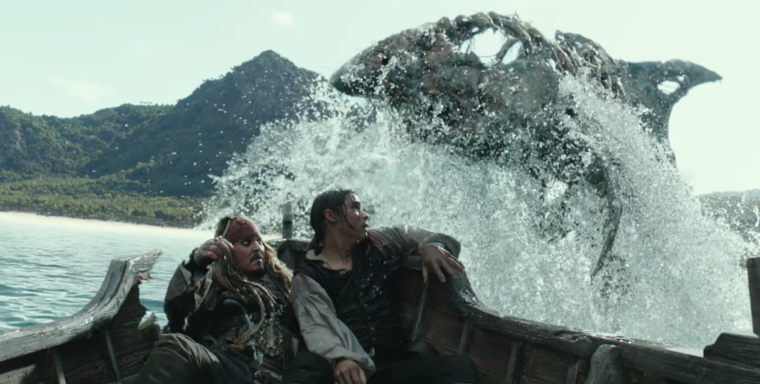 Left for dead after the dozy, bloated blurs that were 2007’s “Pirates of the Caribbean: At World’s End” and 2011’s “Pirates of the Caribbean: On Stranger Tides,” Disney’s swashbuckling, water ride-inspired franchise has been resurrected six years later to give the people more of what they want. Be careful what you wish for, right? 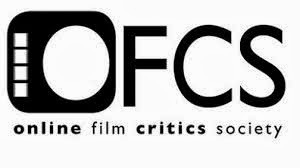 The fifth entry, “Pirates of the Caribbean: Dead Men Tell No Tales,” has turned the tide in small increments, possibly from the powers that be bringing in fresh talent with Norwegian directors Joachim Rønning and Espen Sandberg (2012’s “Kon-Tiki”). It is still too overstuffed and overlong for its own good but more lively and momentarily diverting to be closer to a shoot-the-works summer entertainment than an exhausting, plodding, obnoxiously convoluted slog. By Movie #5, audiences learn to take what they can get in terms of creative inspiration. 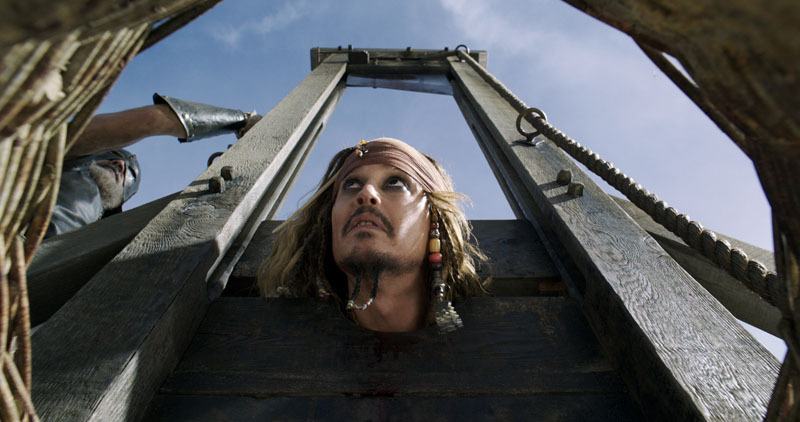 It certainly wouldn’t be a “Pirates of the Caribbean” film without the eccentric, rum-swilling Captain Jack Sparrow (Johnny Depp) hamming, mincing, boozing and stumbling. This time, though, the focus is on Will Turner’s grown son Henry (Brenton Thwaites), who wants to lift the curse on his father, forever trapped as the immortal captain of the Flying Dutchman. Wanted for treason and on the run, he will need to find the mythical Trident of Poseidon the break the sea curse, so when he finds Jack Sparrow in hopes that he can help navigate the sea, they come to an accord. They also join forces with Carina (Kaya Scodelario), a young woman accused of being a witch for her love of astronomy, because she has the Poseidon map in her possession. Meanwhile, Jack possesses a compass that frees a crew of ghost pirates, led by Captain “Butcher of the Sea” Salazar (Javier Bardem), who desire revenge on Jack for sealing their fates in the Devil’s Triangle. When the peg-legged Barbossa (Geoffrey Rush) enters the picture, too, who doesn’t want a piece of the walking scabies that is Jack Sparrow? “Pirates of the Caribbean: Dead Men Tell No Tales” is both more of the same and an upgrade from the last two movies, and whether that is an exciting or dismal proposition depends on what each viewer thought of its predecessors. What screenwriter Jeff Nathanson (2011's "Tower Heist") comes up with in terms of story that needed to be told still doesn’t justify a continuation, but it is less complicated and more cogent. At two hours and nine minutes, it is the shortest in the long-in-the-tooth series and does move with a fleeter foot, and yet, it still takes a while to get where it’s going. For comparison, this moves more like a sprinting ostrich than a lumbering sloth. The film flourishes in the perilous spectacle of each individual action set-piece — they are, after all, the series’ bread and butter. Both a bank heist, where a safe is dragged through the streets of St. Martin, and a rescue from Carina’s hanging and Jack being decapitated by a guillotine are inventively staged with kinetic energy. And, if the last film added vicious mermaids, this one throws in zombie sharks—and why the hell not?—and for that, they are one of the highlights. Destined to play Captain Jack Sparrow until the day he dies, Johnny Depp sailed in his performance—no, shtick—a few movies ago, rendering the character nothing more than external trappings and quirks, but here, he does bring a little more spark with an uptick in bawdiness. With that said, though, Depp really needs to put this character to bed once and for all. Since a two-plus-hour film and actual emotional stakes can’t entirely be supported by the amusing-in-small-doses Jack Sparrow and his drunken, words-slurring shenanigans, Brenton Thwaites (2016’s “Gods of Egypt”) and Kaya Scodelario (2015’s “Maze Runner: The Scorch Trials”) are cast as substitutes for Orlando Bloom’s Will Turner and Keira Knightley’s Elizabeth Swann. Thwaites isn’t able to make the bland Henry very interesting like Scodelario can as the plucky, intelligent Carina; Javier Bardem, as the vengeful, wheezing Captain Salazar, adds menace to his floating CG hair as if submerged underwater; and Geoffrey Rush seems to press on without completely phoning in his Barbossa. Finally, instead of the musician stunt casting of Keith Richards, Paul McCartney blends in well with a cameo as Jack’s imprisoned uncle. 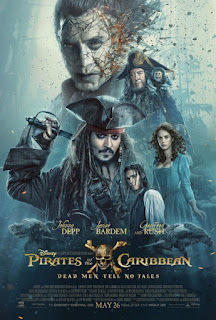 Too many subplots, too many characters, too many endings — this series has specialized in too-muchness and has done a lot of wheel-spinning, focusing so much on a new McGuffin that holds no consequence each time, but “Pirates of the Caribbean: Dead Men Tell No Tales” is marginally fun; that is, if you care enough to hear the tale. It’s still professionally made with actual time and care exhibited in every detail, and the visual effects, make-up and general supernatural atmosphere are still pretty dazzling. That is probably the best that can be said for the fifth but third-best entry in a series that went past the warning signs of overstaying its welcome and giving reason to forget what audiences liked about these movies in the first place. “If you liked the first four…” would be an appropriate blurb.